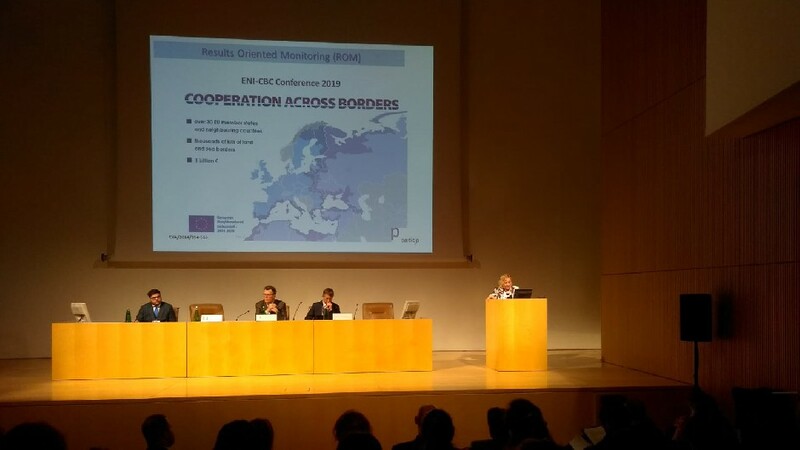 Annual Conference for the Cross Border Cooperation (CBC) implemented under European Neighbourhood Policy was held in Roma, Italy on 10th of April 2019. The Conference organized by TESIM, which provides technical assistance for the CBC Programmes. Emanuel Del Re, Vice-Minister for Foreign Affairs and International Cooperation, delivered the opening speech of the conference. Representatives of European Commission, Managing Authorities and National Authorities of the Programmes and Joint Technical Secretariats participated in the conference. Şebnem Sözer, Head of Union Programmes and Cross Border Cooperation Department and Serkan Bozkurt, EU Affairs Expert attended the meeting as representatives of our Directorate. In the meeting, the thematic areas with higher success under ENI CBC Programmes, expectations in terms of results regarding the approved projects and preliminary results of ROM missions concerning the performance of ENI CBC, were discussed. Also, information was provided about policy objectives of Neighborhood, Development and International Cooperation Instrument (NDICI) in which most of the EU’s current external financing instruments are merged for the 2021-2027 period, key changes and next steps in the programmes.